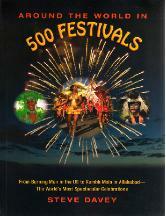 Around the World in 500 Festivals is a book that will fascinate and inspire. A large-format, beautifully illustrated volume, it is a photographic exploration of the richness and variety of the world's most colourful, moving, joyful, and spectacular celebrations. The festival listings are organized by continent, by region, then alphabetically by country, and are interspersed with the photographic essays. 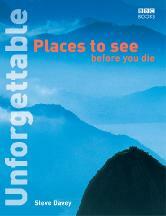 By avoiding purely commercial events this book will not date, and will appeal to a wide range of travellers. Festival goers are not restricted by age and come from every class and income bracket. What links them is a desire to be in a new place when it is most alive, and to take part in some of the most exhilarating celebrations in the world. Today more people than ever are travelling to far-flung destinations, seeking a fuller experience than the standard offerings of a beach holiday or short tour. They want to connect with the local culture, and to enjoy the place at its defining moment. Festivals generate that life affirming buzz, turning onlookers into participants and adding breadth and depth to the cultural experience.